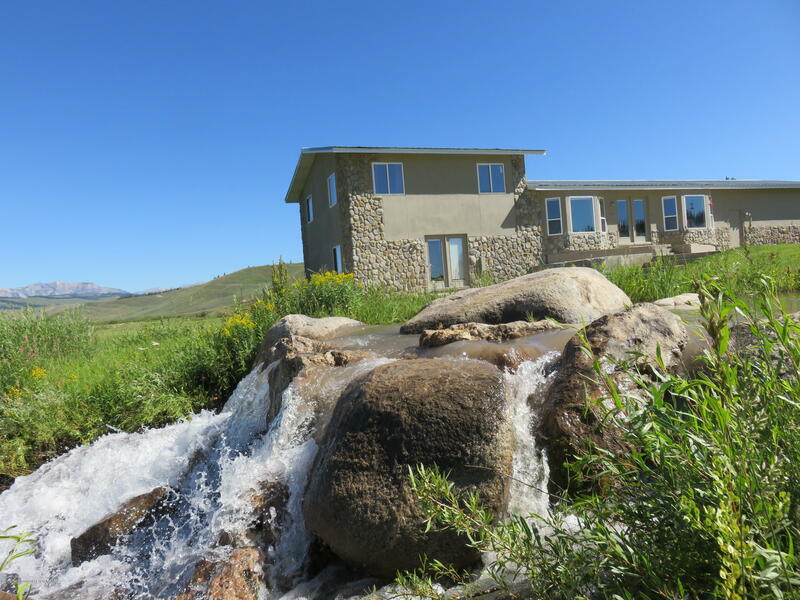 Own a home in one of Wyoming's most beautiful settings in the new Spirit Winds Estates. This spacious home and shop are located on a picturesque bench along the Hoback River, north of Bondurant, situated on live water with shared forest access. Views abound in this outdoor recreation paradise with room to roam all seasons for fishing, hunting, hiking, and trail rides and a 2400 sq. ft. shop to store all your toys -- only 30 miles to Jackson. Reasonably low impact CCRs allow you the opportunity to enjoy your property while also protecting its beauty. This 4BR/3BA home is a great value with lots of living space and an unfinished basement for additional living or even attached guest quarters. Live water fishing pond and cabin.